Did you miss the Illinois Pork Expo this year? Check out our running compilation of stories from this event. 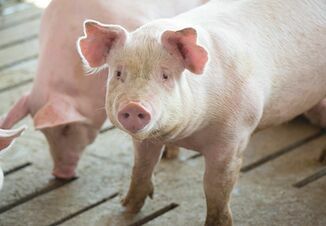 Although everyone can agree an African swine fever (ASF) outbreak in the U.S. would be disastrous, pork producers at the Illinois Pork Expo offered varying perspectives on the topic this week. Mike Haag, past president of the Illinois Pork Producers and pig farmer from Emington, Ill., says the U.S. pork industry has been very proactive in its efforts to keep ASF out of the country. It’s certainly been a year filled with ups and downs, said Mike Haag, president of the Illinois Pork Producers. Between trade challenges, rumors of impeachment, African swine fever and more, Haag’s year serving the IPPA as president has certainly not been boring. During the IPPA Annual Meeting, Haag commended the pork industry’s commitment to domestic marketing efforts. He also noted IPPA’s aggressive move to put $30,000 into the U.S. Meat Export Federation’s efforts in South Korea. U.S. Farm Report will be taping live from the trade show floor at the Illinois Pork Expo on Tuesday, Jan. 29 at the Bank of Springfield Center in Springfield, Ill. Host Tyne Morgan will visit with roundtable panelists Brian Basting of Advanced Trading, Alan Brugler of Brugler Marketing and Chip Nellinger of Blue Reef Agri-Marketing. McDonald’s made bacon dreams come true Tuesday by giving away bacon with the purchase of anything on the menu. Customers received two half pieces of bacon on the side with any purchase and were encouraged to add it to whatever item on the menu they wish. It’s an ode to bacon, McDonald’s website said. “Everybody loves bacon, they love the flavor, they love the taste. 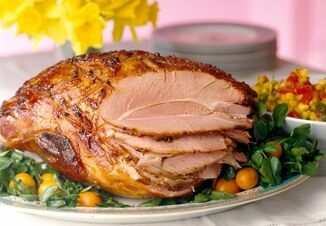 It's the gateway drug for vegetarians,” said Tyne Morgan, host of U.S. Farm Report. Although most pigs are housed in climate-controlled barns today, extreme winter weather conditions can take their toll. Never take your pigs’ comfort for granted, advises Jeff Galle, professor emeritus at John Wood Community College. Watch for changes in your pigs’ routine or behavior to know if the cold temperatures are taking a toll. 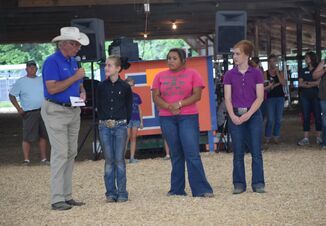 Each year, the Illinois Pork Producers Association (IPPA) honors a pork producing family who has contributed to the long-term success of the industry through leadership and pork promotion on the local and state levels. In 2019, IPPA proudly recognizes Lehmann Bros. Farms, of Strawn, as the IPPA Family of the Year. View more coverage of the event on Facebook.